Chris hops on Konshens' "Bruk Off Yuh Back." Chris Brown just announced a new project called Privacy, which he'll share new music from this week. 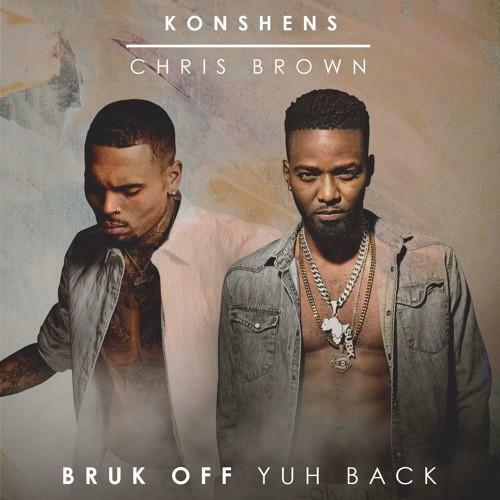 In the meantime, he's hopped on the buzzing single "Bruk Off Ya Back." The dancehall single gets a North American touch with Brown's slick R&B hooks, which may give it a boost in the U.S. market. We've seen a lot of pop, rap and R&B artists embracing dancehall rhythms over the last little while, which has resulted in some big chart singles. It's only right that a Jamaican artist earn a hit in North America, even if it takes a little help from a familiar voice.